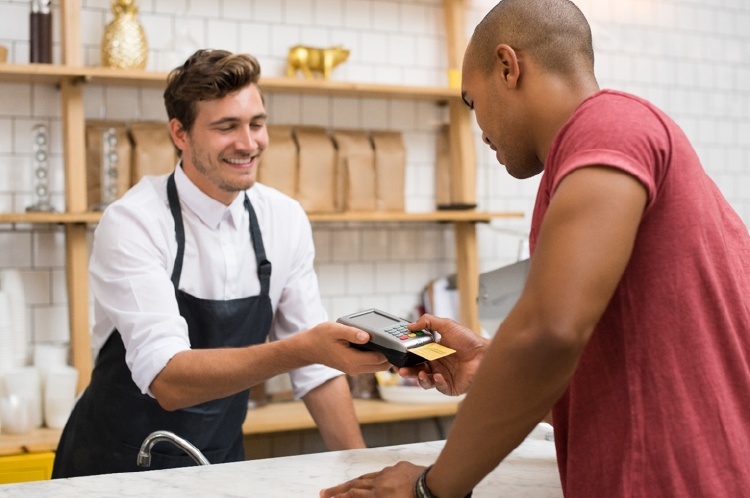 Merchant cash advances, also known as business cash advances, are one of the best ways to help support your small business financially. There are various companies online that offer this type of business loan, MCE, Liberis and Capify to name a few. However, while this option presents many benefits, it also comes with some significant drawbacks, so it’s good to be aware of any possible alternatives, should merchant cash advances be unsuitable for your business. In the following paragraphs, we will engage in a comparison between these options in order to help you determine which is the best version for you. We’re going to start by talking about merchant cash advances. What are the benefits of this kind of loan? What are the drawbacks? Should you get one, or are you better off with an alternative? PRO: The main strength of a merchant cash advance lies in its repayment method. You see, instead of repaying in regular fixed instalments, you repay in a small, fixed percentage of your debit card and credit card transactions that is taken out automatically every single day. That gives you a lot of flexibility and ensures affordability. In addition, you do not need to secure it with an asset or have an exceptional credit score, because the advance is already secured by granting the lender access to your accounts. CON: The problem with this is that in order to be able to get a business cash advance, your business needs to have transactions with credit cards and debit cards. Not only that, but you need to have at least 12 months’ worth of transaction history, as well as a minimum income from these transactions, in order to ensure that you can repay the loan. And if you remain unconvinced by merchant cash advances, then perhaps you would like to consider some of the many alternatives you can opt for. PRO: As you may know, if your small business is just starting out, you will not have access to a lot of loan options. A lot of the financing solutions that are geared towards businesses are only available for companies that have been in operation for several months, or even years. A start-up loan solves that problem by offering help to the most vulnerable of businesses – the ones that are just fledgling enterprises in need of aid and support. CON: Of course, if your business is not, in fact, a start-up, you will not be able to take advantage of this financing opportunity. In addition, this is not at all a business loan, as it may seem, but an unsecured personal loan. That may not be an issue in itself, but it is if what you were looking for was an actual business loan, because it means that you are responsible for everything with your name, as opposed to the business. PRO: As the name suggests, this is an actual business loan, so you don’t have to worry about putting your own credit score or financial well-being at risk. You can get a sizeable amount of money in order to support your business financially, and then repay it in instalments, just like you would with any other regular loan. CON: The main drawback of a loan like this is that there are certain restrictions in place that can hinder you from being approved for this type of financing. For example, they may require that you have a business that has been operating for at least two years, that you make a certain amount of money, etc. Generally, this type of lending is not very welcoming to new-comers, which can be an issue for your small business. PRO: If financing solutions are not ideal, or even suitable, on the business side, then maybe you would be better off with personal loans. You see, personal loans can offer benefits such as unsecured debt (if you don’t want to put assets at risk) and a financial responsibility that is completely yours, and not related to the business, if you are concerned with how a possible default or debt can affect the financial stability of your fledgling enterprise. CON: On the negative side, the interest rates on unsecured loans can be quite high, and this one makes to exception. In addition, in order to be accepted, you may need to present a very good credit history, which may or may not put you out of the running. Options with bad credit do exist, but you will be limited in terms of borrowing ability, as well as repayment terms. PRO: The major benefit with same day loans is that they make excellent solutions for quick cash, when you need it. All businesses will go through a crisis in one form or another, and in an emergency situation, it is vital that you can access funds quickly. Same day loans have a minimal processing time and you get approved almost instantly. You can even have the money on the same day to cover any urgent expense your business may have. CON: You can probably guess that the convenience of a very quick loan comes at a price, and that price is paid in interest fees. The interest rate is high on this loan, meaning you may come to pay several times the amount you borrowed in the beginning. Whether or not this is a deal-breaker is up to you to decide, after revising the advantages and disadvantages. In conclusion, if you’re not keen on business cash advances, you can always go for an alternative. Just make sure you review all of them before picking the right one for you! Home In Business How do merchant cash advances compare to alternatives?